Have you visited UOGameCodes.com today? If so, you’ve seen the updates that have a lot of people talking. For $12.95, you can now purchase the Britannian Ship, provided you own the High Seas expansion booster pack. As long as the money is being put back into UO, I don’t have a problem with it. I think it may even drive some people to purchase the High Seas booster pack since it is required to own and operate this ship and I know plenty of people who were interested in the Britannian ship, but who didn’t have the High Seas booster pack. People like me. I think the High Seas booster pack is great – as many have pointed out, there are plenty of areas of Sosaria that are not being utilized, and anything that helps change that is good. Am I buying one? You bet. I don’t have the in-game gold required, nor do I have the time to accumulate the gold or points required. I definitely wasn’t going to pay $75 to a third party for the in-game gold – I don’t believe in buying gold. Now there are people plopping down the $13 and selling these in-game, which is driving the in-game price down and is probably really screwing with the gold market. I think that’s great – there are people who may not have the cash nor desire to pay the cash out-of-game to UOGameCodes.com, however this way they can get it at a more reasonable price. Now some are upset, but I vaguely recall somebody on the dev team mentioning that it might show up in the UOGameCodes.com store. I think this was in response to a question about it’s cost – something like 150 million in gold/10 million points through the Britain Library. That really did put it out of reach to many UO players. I would be surprised if I had 15 million gold across all of my accounts, and I know I’m not alone amongst long-time players who are not rolling in gold. I’m okay with this, because for all intents and purposes, this is a vanity purchase. If it were a game-changing purchase, I would have to argue against it. I don’t want the UOGameCodes.com store becoming a store that deals in items that can really change the game for a player – I’ve seen this in so-called “Free-to-Play” games and it leaves one with a bad feeling about the game. 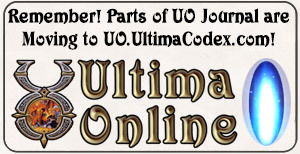 The majority of UOGameCodes.com items are vanity or decoration-related. There are some that are very useful, however they don’t quite cross the line into becoming necessary to play the game. * The ship by itself – $12.95 US. If you purchased everything separately, you’re talking about nearly $25 and without the Captain’s Wheel. Players might grumble about prices in the UOGameCodes.com store, but I think the Captain’s Bundle is a pretty good deal. Obviously this will help sell High Seas booster packs as well, and you can’t ignore it when you put it in context. Are people who contributed to the Britain Library angry? 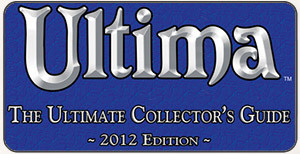 I’m sure they are, although, as I said, I vaguely recall hearing this would show up in the UOGameCodes.com store. I don’t think anybody expected it to be so cheap. I have to admit, I’m really surprised. I can see the issues some have with it being too cheap, especially those who will take it and sell it in-game. It comes down to what EA wanted out of it and what they thought players would pay. Buying High Seas plus the Captain’s Bundle at the same time, you are up to $33 or so. I don’t think it was as much of a gold sink as some thought it was – the few people I know who went through the trouble of obtaining one, went and farmed monsters to buy it. They didn’t have 150 million gold sitting in bank boxes doing nothing. They farmed for the items/gold necessary to obtain one, and that works against it being a gold sink. My only problem with it, is that you can’t place the Captain’s Wheel on the ship, only in a house. Not sure what to say about that. But I can toss a small forge on it and go boat mining like nobody’s business – the hold maxes out at 28,000 for the weight. At least I hope you can boat mine from it. If not, there’s always the rowboat, right? That kind of defeats the purpose I suppose.